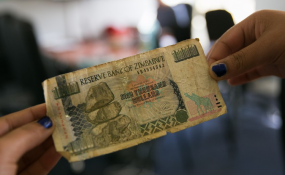 The Zimbabwean government is working with China and South Africa to reinvigorate the economy to levels that allow for the re-introduction of the local currency, the Zimbabwe Dollar, British Broadcasting Corporation, BBC reported on January 11, 2019. Special Advisor to President Emmerson Mnangagwa, Ambassador Christopher Mutsvangwa, said there was much goodwill from the Chinese who have proposed a currency swap with Zimbabwe. "Such an arrangement will establish a credit window for Zimbabwe to access capital goods from China to retool industry," Mutsvangwa explained. The US dollar, Chinese Yuan and other foreign currencies have been legal tender in Zimbabwe since 2014 because of galloping inflation.